Courtesy of Charles Leski, Leski Auctions. H.G. Ponting, photographer for Scott's last expedition, nearly died when killer whales leapt onto ice where he stood with his camera. "During those midnight days, when others slept and only the night watch and I were awake ... 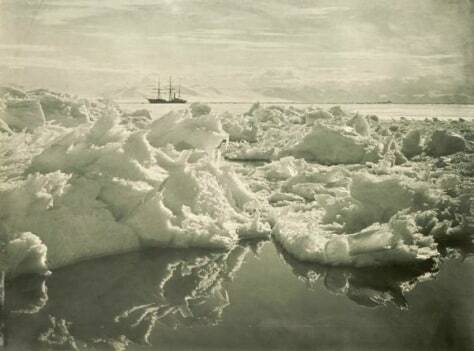 I secured some of the best of my polar studies," Ponting wrote of this image.